Abercromby Square, c 1835. The square was named after Sir Ralph Abercromby, the general who was killed at Alexandria in 1801. The houses are of three storey brick construction with cast iron balconies. 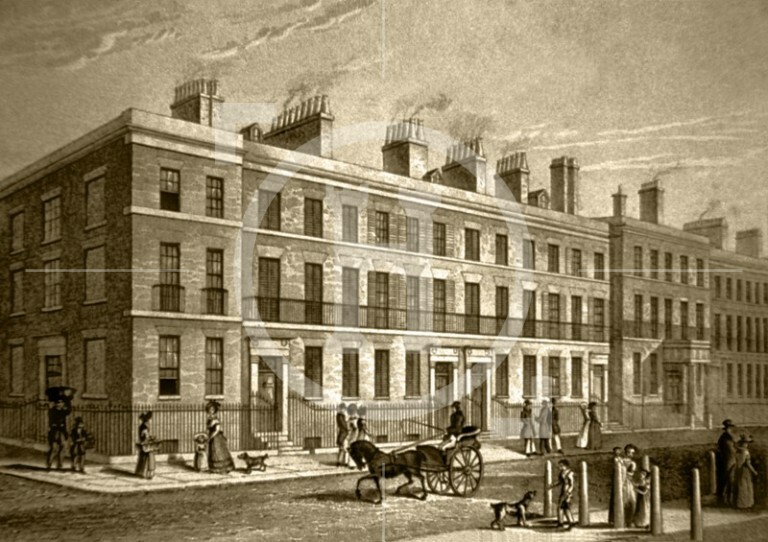 John Foster Snr originally planned the area in 1800 it was not finished until the date of this picture, having only been laid out in 1816. The east side of the square included Foster's St Catherine's Church with its Ionic portico, while the central gardens incorporated a domed roof garden house with ornate iron trellis.